As the Carlos Ghosn saga continues to unfold, domestic and international attention continues to mount on what many are calling a “hostage justice” system. 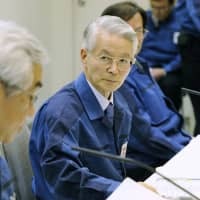 The ousted Nissan Motor Co. chairman, who had already spent 108 days at the Tokyo Detention House before being released on bail for ¥1 billion, was rearrested on April 4 and will now be jailed until at least April 22 as prosecutors seek to charge the once-proud auto mogul for aggravated breach of trust, in addition to other charges of underreporting his salary. 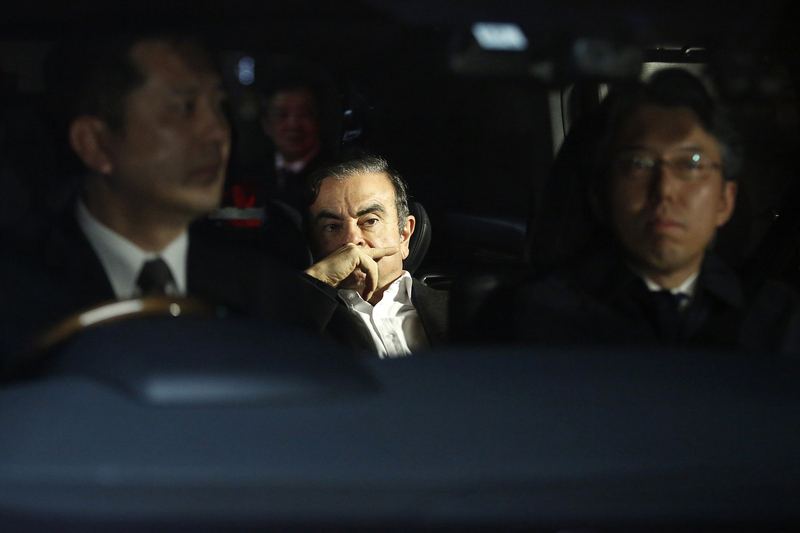 His pretrial detainment — which Ghosn and his allies call “arbitrary” — has fomented international criticism against the nation’s justice system as being the opposite of the ideals that should be espoused by an open and democratic society like Japan’s. Japanese prosecutors subject suspects to up to eight hours of daily questioning while they are detained in a bid to obtain a confession, shutting off access to their family and barring them from obtaining legal assistance during the questioning. And according to the popular narrative, it’s all done capriciously, with the nefarious machinations of the state lurking behind. It’s not just Ghosn. Last month, Mark Karpeles, former CEO of bitcoin exchange Mt. Gox, was found guilty of data falsification and handed a 30-month sentence, suspended for four years. Before that, he spent 348 days in detention from his arrest in August 2015. Are the criticisms over hostage justice and harsher treatment of foreign nationals accurate? There seems to be some media confusion and misconceptions about both issues. Indeed, there is a general perception among some that executives of Japanese companies involved in high-profile white-collar cases like those involving Tokyo Electric Power Company Holdings Inc. and Olympus Corp. are being treated differently than Ghosn or Karpeles. Are there differences and, if they exist, are they based on law — or fiat? A calmer comparison of the facts indicates that “arbitrary detention” is more of a narrative than a proven reality. Below is a chart of well-known cases involving white-collar crimes where the suspects have been arrested and held in detention for substantial periods before being released on bail. The white-collar crimes mentioned here may look similar, but the key differences that lead to varying treatment are based on the specific charges and relevant facts in each case. Criminal violations under the Penal Code or the Financial Instrumentation and Exchange Act (FIEA) contain specific punishments for each crime prescribed under each law. The Olympus executives, former Nissan executive Greg Kelly, as well Ghosn for his first indictment, were charged under the FIEA, which includes five possible criminal charges. Each violation carries a maximum prison term of 10 years and a fine of up to ¥10 million. 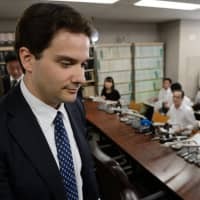 Karpeles was charged under a Penal Code provision for falsification of an electromagnetic record, which carries up to five years in prison and a ¥500,000 fine. Aggravated breach of trust charges were levied on Karpeles, as well as Ghosn. 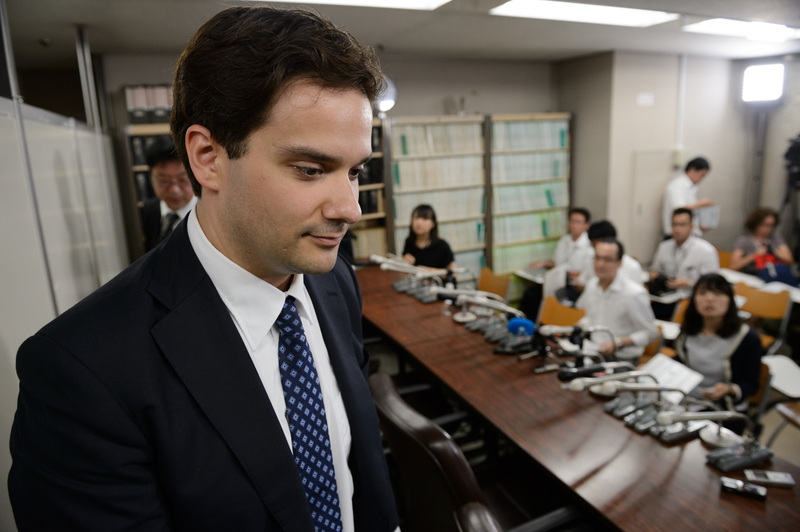 Karpeles was acquitted on this charge, while the 2006 securities and income tax frauds by Takafumi Horie, the erstwhile maverick CEO of internet company Livedoor, were under the Penal Code and were deemed to be “aggravated” because prosecutors alleged the defendants were personally enriched by major instances of fraud. The courts are more likely to be tougher with regards to bail requests and less likely to suspend a sentence, as was the case with Horie, if a person is arrested or convicted of a major case of fraud and it is determined that the defendant benefitted directly from the crime. It is also fair to say that, from the outlined cases, there is no discernible capriciousness in how detention is used by prosecutors based on nationality. Similar crimes in comparable situations appear to be treated the same — from detention to trial right through to sentencing. Prosecutors looked at the elements that support bail requests for those corporate executives, including flight risk and risk that evidence may be destroyed, while also taking into account specific situations in which the accused operated. 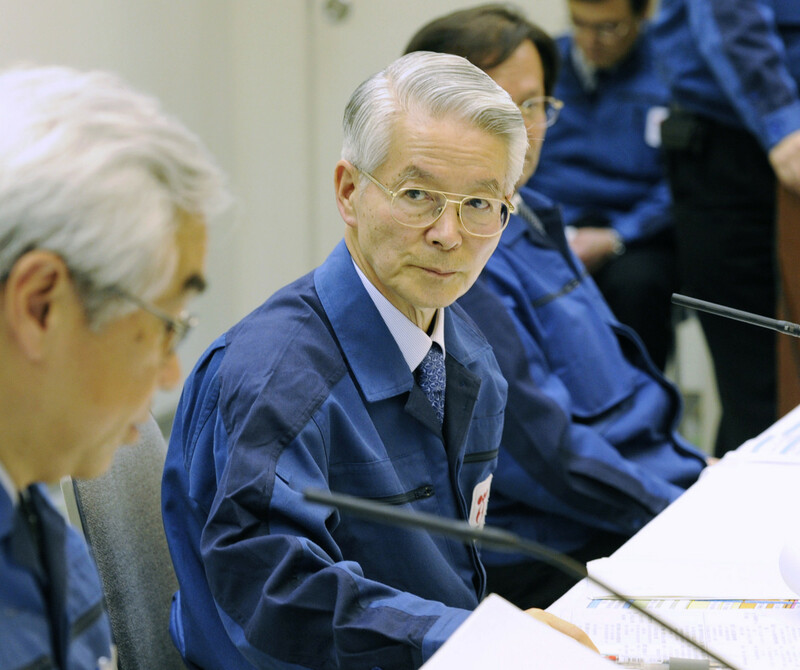 Olympus’ Tsuyoshi Kikukawa and the Tepco executives were “salarymen CEOs.” They serve a few years and then retire — almost always replaced internally. They had already resigned at the time of their arrest. On the other hand, Horie and Karpeles were “owner CEOs” whose word within the company was absolute, and they had handpicked every senior-level person working for them and were in control of their companies at the time of their arrests. And Ghosn? After nearly 20 years at the helm of Nissan, the jet-setting executive’s personal authority had continued to increase over the years. All of the senior executives were handpicked by him and he was chairman at the time of his arrest, arguably placing him in the latter group. Ultimately, the issue is not that prosecutors are not following the law and are being capricious about whom they detain and whom they do not. They are following the law. And it’s the law that needs to be changed. At its core, Japan’s pretrial detention system has two major flaws: The excessive duration of detention and the absence of an attorney during questioning. Both Karpeles and Ghosn were held in detention for the full maximum of 20 days before being charged. Their detentions were then extended with periodic court reviews of bail requests from the accused, which, upon rejection, led to further detention. During detention, both were subject to extensive questioning by prosecutors without an attorney present. 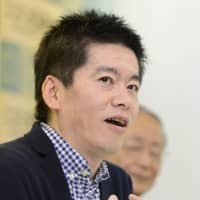 Videotapes of Ghosn’s questioning — a new feature added in the Criminal Procedure Reform law in 2016 in direct response to documented abuses — were made available to his attorneys who were present at the detention center, but lawyers were not permitted in the room where questioning took place. This is the standard pretrial detention practice in Japan for anyone accused of a serious crime, regardless of nationality or residency status, and it has justifiably been the subject of intense criticism both domestically and abroad. First, every suspect should have the right to consult a lawyer as soon as the case is in the hands of prosecutors, and questioning should be prohibited in the absence of an attorney. Second, the period of detention before a bail hearing is conducted should be reduced from the current maximum of 20 days to no more than five. The standard in democratic countries is two to six days. Third, the extension of detention periods beyond 20 days should not be routinely granted by the courts for “new” charges. Prosecutors should be able to add or amend charges as new information comes to light, but this should not trigger a new detention period. And finally, bail conditions should reflect current reality. Japanese courts should recognize that available technology — such as ankle monitors and closed-circuit video cameras — allows for appropriate surveillance of accused who are deemed to be flight risks. And while the risk of coerced confessions in Japan comes under increasing international criticism — and deservedly so — there is a separate form of coerced confession that is growing rapidly worldwide. Plea bargaining — while varying significantly among the 66 countries that now permit it — involves a negotiation between the prosecutor and the attorney of the accused whereby the accused agrees to plead guilty to a lesser charge. For a number of Western countries, this has become the primary method for overworked judges, prosecutors and court-appointed attorneys to manage their case dockets. In England and Australia, over 60 percent of all criminal cases were closed through plea bargaining in 2017, according to a study of 90 countries by Fair Trials International, an awareness group, which found that in 1990 just 19 used some form of plea bargaining. By November 2017, 66 nations did. In the U.S., an astounding 97 percent of all federal court decisions and more than 95 percent of all state court decisions are resolved through plea bargaining. These bargaining sessions are not conducted in court. In fact, there are no trials at all. Particularly disturbing is the fact that the use of plea bargaining increases rapidly once it is introduced, despite growing charges of widespread abuse and coerced confessions. Since last June, Japan has allowed for a potential suspect or co-defendant to offer prosecutors evidence and personal accounts of certain crimes by third-party individuals or corporations. The crimes eligible for plea bargaining include specific white-collar crimes such as fraud and bribery, as well as antitrust and tax-related crimes, and a deal can be reached to drop or reduce a suspect’s criminal charges — in some cases, a suspended sentence can be secured or charges can be dropped entirely. This new system was introduced partially in response to financial reporting and accounting scandals involving Olympus, Toshiba Corp. and other firms in order to support internal whistleblowers who knew of or were participants in crimes being directed by senior executives. Its introduction came as new, stricter financial reporting and corporate compliance laws and regulations were introduced in Japan. Safeguards have been introduced to this “cooperative witness” process, including the compulsory participation and attendance of a defense attorney in any negotiations. It was this new system that appears to have led to the two reported Nissan whistleblowers first contacting Tokyo prosecutors in the Ghosn and Kelly cases. Japan has areas where abuse can occur, and have occurred, and where the appearance of injustice exists. It should immediately address these weaknesses to better balance the rights of the accused with prosecutorial power. 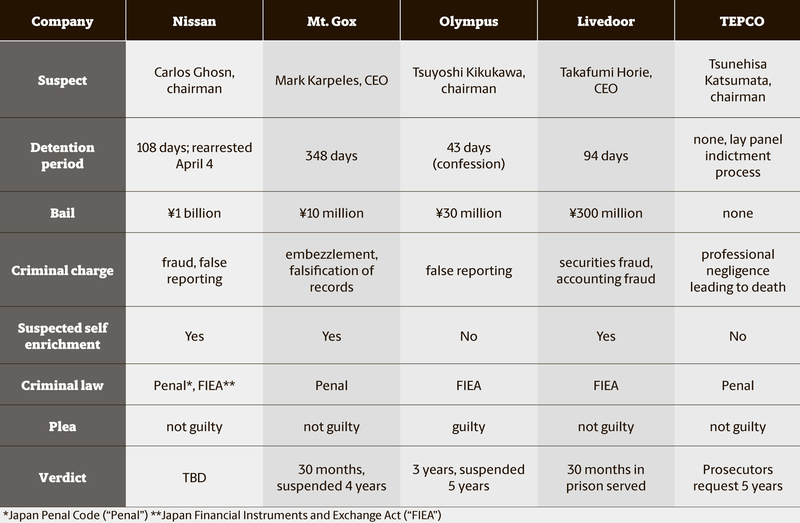 Perhaps some good will come out of the sagas of Carlos Ghosn and Mark Karpeles, and their cases can lead to improvements in Japan’s beleaguered criminal justice system. The total number of arrests in Japan for all crimes is very low, averaging around 150,000 per year, according to National Police Agency statistics. By comparison, according to database company Statista, the U.S. has averaged almost 11 million arrests per year during the past five years. According to police statistics, Germany had about 2 million arrests last year. As a result, the Japanese police, lawyers, prosecutors and judges are not overwhelmed by the sheer number of cases as is seen elsewhere. Unlike justice systems that rely on solo judges or juries, Japan’s system uses panels made up of three judges. Japan has had almost no reported cases where judges have been bribed or juries bought off. A few years ago, Japan introduced a system involving a layperson panel review of prosecutorial decisions to ensure fairness. Much has been made of Japan’s high conviction rate and what that implies about the presumption of innocence. To compare, Canada’s is 97 percent and the U.S. Federal Court over 95 percent. Is presumption of innocence in doubt in Canada or the U.S. Federal Court because of their comparable conviction rates? In fact, having lower conviction rates is not a good thing, as that speaks to the quality of police and prosecutorial investigations. So what does all of this mean? Of the 150,000 arrests in Japan every year, about 135,000 are detained. Of those detained, regardless of duration, 67 percent are convicted and 32 percent are released or dismissed. In the U.S., however, only about 8 percent of those charged are released. Conviction rates are notoriously difficult to compare among countries, as there is no consistency in how each country reports its data. Rather than overly focusing on conviction rate, greater attention to the overall fairness of the trial process itself would be a stronger measure of the quality of justice delivered. The occupancy rate of Japan’s detention centers is 67 percent. According to the World Prison Brief, that compares with Italy at 120 percent, France at 116 percent and the U.S. at 104 percent. Of all detainees in Japan, those being held for pretrial detention is under 10 percent. In many Western countries, the rate is much higher. In Italy, it is 32 percent, in Sweden it is 30 percent, and the U.S., 21 percent. One of the takeaways here is that habeas corpus alone cannot deliver justice if the poor and minorities cannot make bail. While every criminal justice system aims for equal justice under the law, it must work within its sociocultural context. Where Japan’s justice system is weak, other countries may have stronger protections, and vice versa. 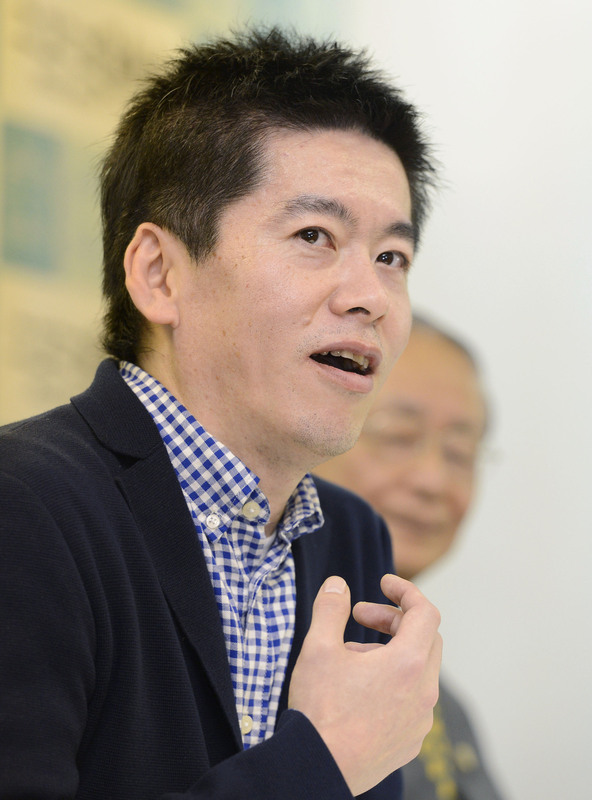 Edo Naito is an outside board director, advocate for Japan corporate governance and a commentator on Japanese politics, law and history. He is a retired international business attorney and has held executive positions at several U.S. and Japanese multinational companies.